Comment: older home needs windows replaced. Comment: Old house built in the 70's. The windows are not energy efficient, I can feel the cold coming in during winter and heat going out in summer if I stand next to the windows. Need screens too and 3 sliding glass doors all different sizes. Medford Window Replacement Companies are rated 4.59 out of 5 based on 168 reviews of 8 pros. 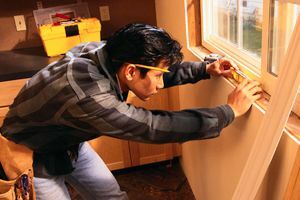 Not Looking for Windows Contractors in Medford, OR?